Each tweet on Twitter is like a mini blog post. Every day on my profile at @forestwaterside I scroll through my followers tweets reading the wealth of interesting information. 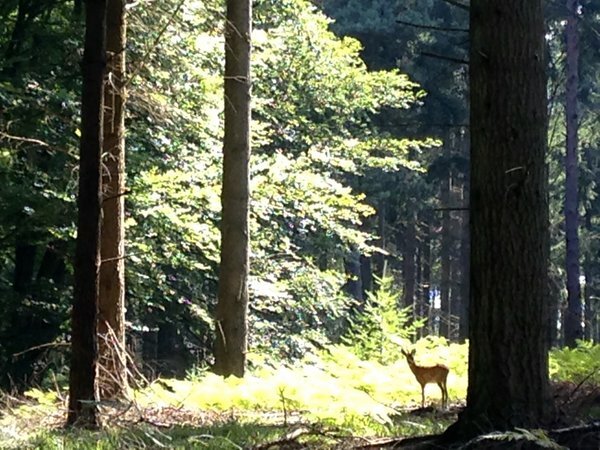 For some time now I have been particularly interested by the tweets put up by New Forest Commoner @Forest_Commoner. In the main, the tweets are comprised of very interesting facts about the New Forest. Their Twitter Profile states: "Keeping the history, ecology and cultural traditions of the New Forest alive through practice of 'commoning'. Sharing information about #NewForest & #commoning." I have listed here a dozen of the tweets they have published and hope you find them as interesting and informative as I have. For many more interesting and informative tweets go and follow them at @Forest_Commoner - enjoy! Did you know that the #NewForest has 26 miles of coastline? Combating the number of livestock killed on the roads is one of the Verderers’ chief concerns in managing agriculture of the #NewForest. In 1079AD William the Conquerer created his 'Nova Foresta' to be preserved for royal hunting. The #NewForest nearly a 1000 years old! A 'Society for the improvement of New Forest Ponies' was founded in 1891 to encourage owners of good stallions to run them on the Forest. An Act of Parliament in 1877 upheld the rights of the #NewForest commoners, which had been encroached by naval plantations for shipbuilding. In 1653 a group of #Southampton merchants were given permission by the Commonwealth govt. to prospect for coal in the #NewForest. The Royal Oak, Fritham, was a favourite meeting place for smugglers on the #NewForest to plan their 'free-trading'. DYK that Richard, Duke of Bernay, son of William I (the elder brother of Rufus, King William II) was gored to death by a #NewForest stag? Please do leave a comment below and why not share with others by clicking on the share buttons below.